Top Villas is one of the world’s most exciting luxury villa rental websites, offering thousands of luxury vacation homes in more than 50 of the world’s most desirable destinations. We have a new promotion code to increase your number of bookings; this can be used until the end of July and we've already seen some success with conversion rates when including this in affiliate content. 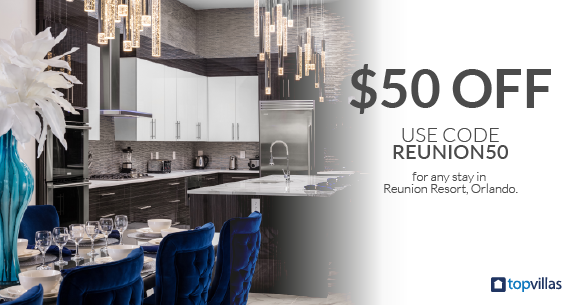 Use code REUNION50 for $50 off any stay in Reunion Resort, Orlando. After posting the offer on your site with an affiliate link to a property page in Reunion Resort or a specific villa; to redeem the discount, customers need to copy and paste the code on their payment screen when booking a stay.